Old granite fireplace in the cellar of The Rock House, Thompson, Georgia. Source: Chasingcarolina.com. It’s pretty safe to say we have an ongoing love affair with fireplaces. Who doesn’t ooh and ahhh at the site of chimney ruins or perk up at the very mention of a wood-burning fire. Aside from the crackle and pop of oily logs as they simmer in an open hearth, what draws us so keenly to these expansive structures? 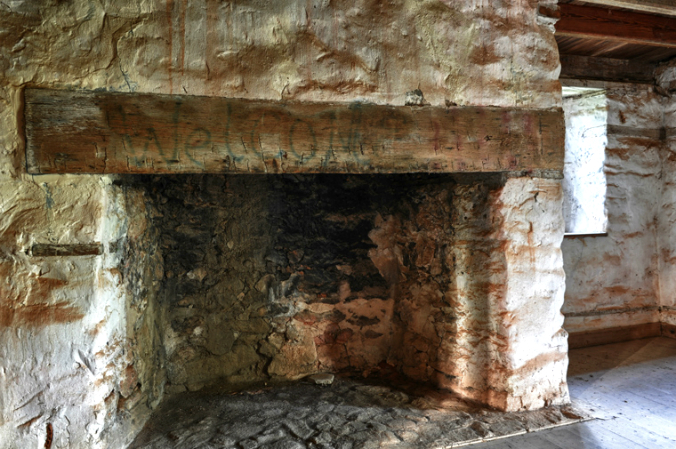 With blizzards lashing the East Coast and all eyes on the weather forecast, it seems a perfect time to focus on old stone fireplaces and their importance in the design of early American homes. Old Stone Chimney, NIagra Falls, New York. Source: Niagrahistory.org. Barnes house chimney, Greenbrier, Tennessee, Source: Hikinginthesmokies.wordpress.com. Old stone chimney ruins, Mt. Airy, Maryland. Source: Getawayhikes.com. The earliest fireplaces were cut out of one side of a single-room dwelling, log cabin or cottage, with an exterior chimney of clay over a sturdy, upright stick frame. The interior was coated with more clay, mud or plaster to fireproof the structure. These so-called “Welsh chimneys” or “mudcat chimneys” were certainly a fire hazard and eventually gave way to sturdier structures of brick and/or stone. Mud-packed, stick-framed chimney, Arkansas. Source: Farmhandscompanion.com. Example of early Welsh chimney, Godiah Spray Tenant House, Historic St Mary’s City, Maryland. Source: Milaminvirginia.com. In Colonial New England a centrally located chimney quickly became the norm. The stone column itself radiated heat while large fireplaces within the chimney faced out to each of two first-floor rooms. 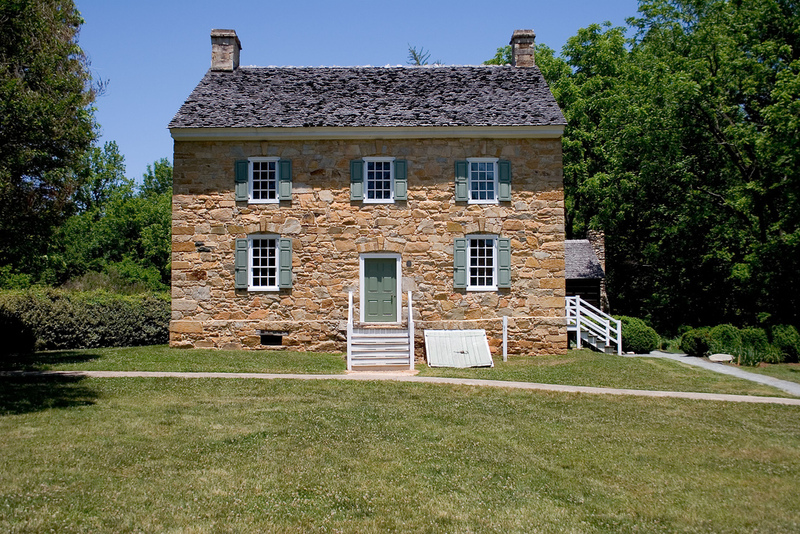 If the first floor was not at ground level, a fieldstone chimney would have been supported, underneath the first floor, by a load-bearing foundation of brick, fieldstone, rubble stone or a mixture of all three. The rectangular structure measured 5 to 10 feet on each side and featured timber “cradles” at the ceiling to further support the chimney. Oftentimes, a bake oven was installed inside this foundation. 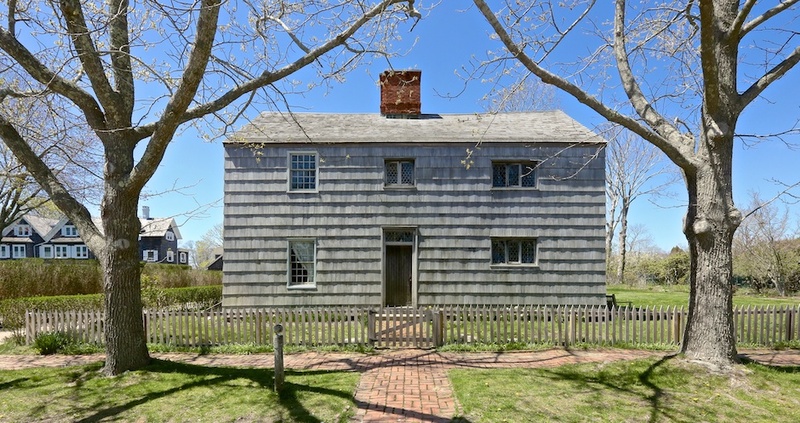 Example of central chimney, Hasley House, circa 1648, Southampton, New York. In the Mid-Atlantic and Tidewater regions, chimneys were embedded in end walls or pushed to the outside completely. End chimneys served two purposes: to keep heat out of the home during summer months when the fireplace was used for cooking and to allow for a front and back door connected by a central hallway — and much-needed cross ventilation. Unique to the Delaware and Hudson Valleys and Dutch settlers was the “jambless” (sideless) fireplace comprised of a stone or dirt hearth, an iron, brick or stone backing to protect the wall behind it and a hood and chimney that led the smoke up out of the home. Bonus: Residents could sit on three sides of the fireplace. Drawback: The hood was an ineffective way to draw smoke out of the home. Granite hearth, The Rock House, Thomson, GA. Source: Chasingcarolina.com. Early stone fireplaces were massive (12 to 15 feet in width). Why? The fireplace served as a light and heat source (both day and night in cold weather), cookstove and storage space for a vast array of cooking equipment – spits, pots and more. 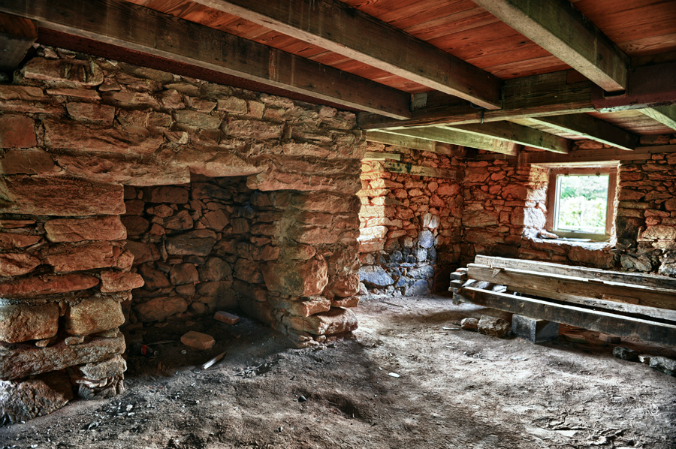 Constructed of native stone, the fireplace featured an opening capped with a piece of timber or stone (lintel or “mantel tree”) from which cooking tools hung. From this lintel the formal mantelpiece evolved. Although the stove replaced the open hearth as a means of cooking food, we are left with these lovely reminders of days gone by. And thanks to caring homeowners and historic preservation groups, examples of old stone chimneys and hearths will remain for generations to come.